From tweeting, to emojis to liking, there’s no escaping the influence of social media. It’s now claimed that 78% of UK adults use Facebook (that’s 32 million people) providing a targeted platform for marketing. While larger businesses have been tapping into it for a while now, smaller businesses are fast catching on to the power of social media to transform their business and attract new business. Following the widespread adoption of the internet during the 1990s, social media came on stream during the 2000s as internet-based applications which encouraged virtual social networks and user-generated content. Rather than passively consuming internet content, social media allows people to participate in interactions with other users. Initially for entertainment and fun communication, social media channels were rapidly adopted by companies and businesses that saw the huge potential of turning visitors into consumers. Now, according to research, 95% of online adults aged 18-34 are most likely follow a brand via social networking and 71% of consumers who have had a good social media service experience with a brand are likely to recommend it to others. Today, the most popular social media platforms include Twitter, Facebook, Instagram, Pinterest and LinkedIn with each having their own niche e.g. some focus on the visual, while others connect to relevant professionals. Few large organisations these days will have a website without a selection of the highly recognisable icons on which virtual visitors can click and be drawn in further. Whether it’s young shoppers or ‘silver surfers’, with UK online shopping now topping £8 billion (according to the Advertising Association) it makes sense for SMEs to have strong presence where their potential customers are. Broader reach – the social media giant Facebook claims that 75% of brands use it for promotion – considering it’s expected to reach 2 billion monthly active users soon, that’s pretty powerful. Apart from having your own account you could consider promoted posts and adverts which would be an effective way to connect with large audiences with this popular platform. Compete with the ‘big boys’ – unlike mainstream advertising, on social media the potential consumers come to you. A huge benefit for SMEs of using social media is its equalising power – it enables smaller firms to compete with larger businesses (with large marketing budgets) in a relatively inexpensive way. Better engagement – it will increase engagement with your existing and potential customers. Research has shown that social media interaction which allows feedback from customers is very effective – customers are more likely to trust the experiences of other customers. Ensure that your business has signed up to the major social media platforms and that engaging content is regularly posted. You can do this in-house if your company has the knowledge or capacity. Make sure that you have a clear policy on what’s acceptable to post and any no-go areas (political or otherwise). SMEs can also choose to contract this function to a marketing company who will have the expertise to ensure your social media platforms engage with customers and potential customers. 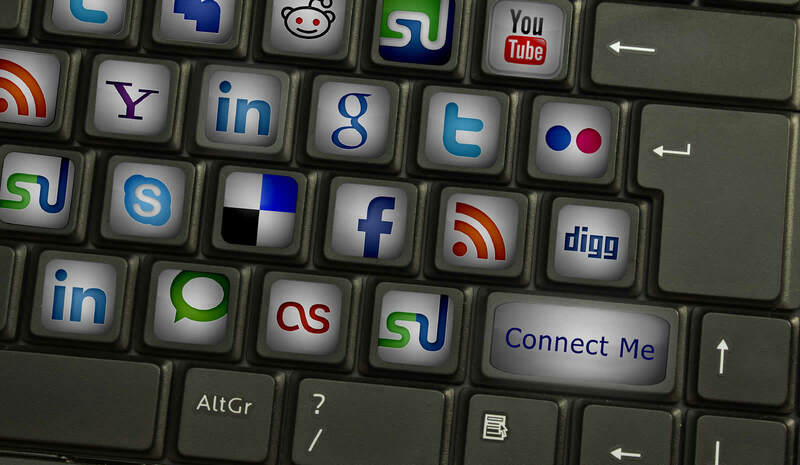 Your website should give visitors easy access to your social media. Conversely, those platforms should also include a prominent link back to your website. It’s a way of driving visitors to your website and hopefully increasing sales. Once you are up and running ensure that the accounts are monitored so that anyone sending messages receives a prompt and encouraging reply – it might be praise or complaint but it is important to respond to prevent any gripes from mounting. Look into using social media management tools such as Hootsuite or Tweetdeck which allow you to post content to multiple places at the same time, schedule ahead posts and find useful content to share. Online platforms will allow you to view behind-the-scenes data (or ‘analytics’) about what content is proving popular and who it is attracting; this means you can see what works and build even more effective promotional campaigns. uAttend helps businesses to get their systems and employees ready to deal with new business brought in by social media and other channels. Our cloud-based time and attendance system takes care of managing staff saving valuable time and money.